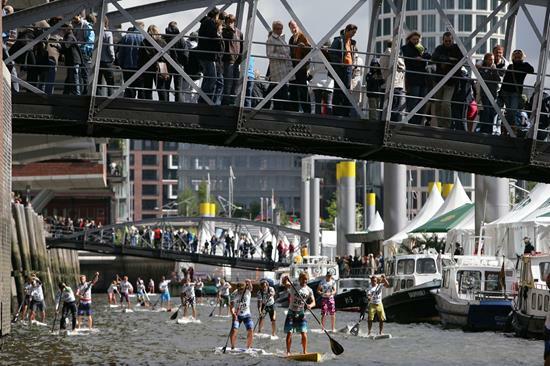 Taking place at the heart of Hamburg, the race course will be contained within a spectator driven space that will draw in upwards of 40,000 people on site over the weekend. It will also provide an arena like no other and promises to be one of the most exciting stops yet on the 2013 Stand Up World Series. Stay tuned to www.watermanleague.com for the build up, live broadcast, highlights and much more. 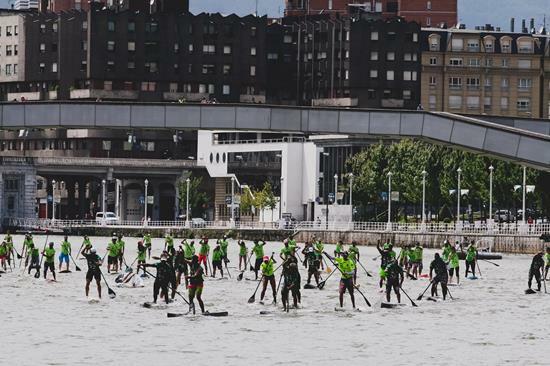 Following directly on from Hamburg, the Chicago World Paddle Challenge will mark the opening of the US Trilogy of events and mark the return to the bustling city of Chicago and its unique beach culture. With 10s of 1000s, of people a day visiting North Avenue Beach, this City of sports enthusiasts will be lining up to watch the world’s best in action in front of the unmistakeable city scape that Chicago provides. In addition to the World Series Elite racing, there will be an Amateur division, a youth division and a Celebrity Relay, as well as entry level fun events and much more. The fun doesn’t stop at the beach, as the W Hotel will be hosting some cool parties, as well as Castaways our partner at the Beach, as Chicago opens its arms to the sport of stand up paddling. So make sure to stay tuned to www.watermanleague.com for the build up, live broadcast and highlights, as the Mid West becomes the place to be on the weekend of the 24th/25th August. The Waterman League is proud to announce that an official stop on the 2013 Stand Up World Series will be run in conjunction with the America’s Cup of Sailing this year on Labor Day weekend. What does this mean? A multi-million dollar event site, stadium seating for over 5000 and a world class race course broadcast to the world. The World Series event will consist of a long distance that will run from Baker’s Beach, under the Golden Gate Bridge and down through a course to arrive at Marina Green Park, the event HQ for the America’s Cup. 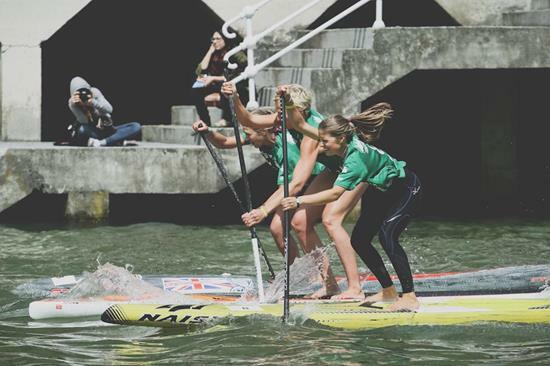 Meanwhile the World Series Sprints will run directly in front of the Stadium set up at Marina Green itself, providing a dynamic display of World Class Stand Up Paddling in conjunction with a world renowned event, steeped in both tradition and now, mindblowing innovation. While Annabel Anderson (Starboard) has a clear stronghold over the World Rankings after the initial events of the season, as we come into Stop 5 on the 2013 World Series and final leg of the European Trilogy, the competition is clearly intensifying, as we see a whole host of women, from Europe, the US and Australia, stepping up to give her a run for her money. At home in Gemany, Sonja Honscheid is sure to be a real threat, as is Olivia Piana (Fanatic) from France and top contender on the World Series in 2012, not to mention Manca Notar (Naish), Laura Quetglas, but also the ever strong Aussie, Angela Jackson (Fanatic), looking to make her presence felt over the next few events. 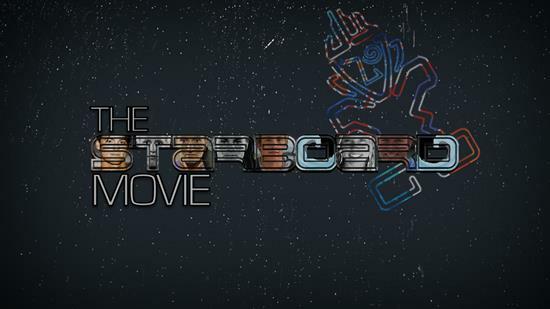 The long awaited Starboard Movie will be released on August 18th across digital platforms worldwide, and primarily at the Waterman League’s content portal: www.immersedtv.com, so stay tuned for details. Turtle Bay, the headquarters for the Waterman League on the North Shore of Oahu is proud to present the overall Man and Woman’s winner of the European and US Trilogies of events with a stay at the unmatched Turtle Bay Resort for the World Series Finals in October. The first prize will be presented in Hamburg at the conclusion of the European Trilogy, while the US Trilogy will start in Chicago, head to San Francisco and then culminate in Huntington Beach in September. 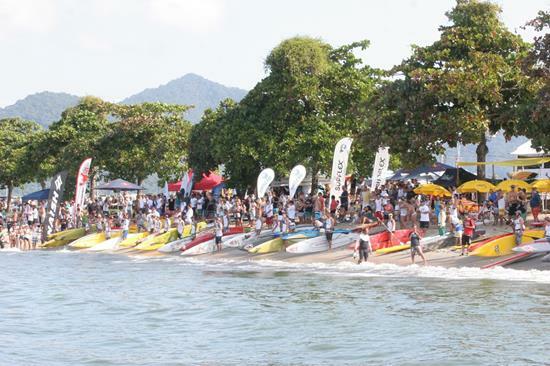 « SIC Standamaran Race SUP – After 3 years it’s finally here!